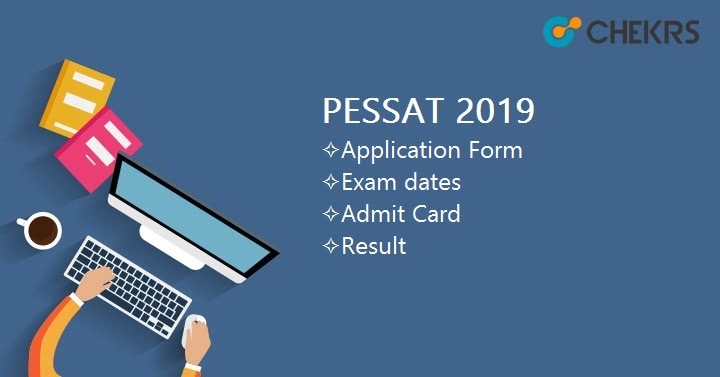 PESSAT 2019: The PESSAT refers to the PES Scholastic Aptitude Test which is taken for granting PES University Admission. The university grants admission to all those who are eager for their admission in choicest courses offered by the university. Latest Update: PESSAT 2019 Registration Dates to apply for Bangalore center, have been Extended!! Check it below. Latest Update: PESSAT 2019 Online Registration Started!! Scroll Down to Check Procedure. Latest Update: PESSAT 2019 Tentative Dates Announced!! Check the Table Below. The university level entrance exam SAT is the online exam, designed separately for each course. The PES University Admission 2019 dates and its complete process is too are different for all. Here we are putting up complete information about the admission in university and exam so that one can quench his thirst of knowing complete information. Check out information on PES Online Application, exam pattern, syllabus, and result. The students, who are seeking admission here, need to be on the alert as the process for PES Entrance Exam Date begins quite early than others. Well, here is the tabular representation through which one and all can easily check out events and their Important Dates. Admissions in PESSAT are given to candidates only to those who have managed to clear certain required standards for the exam. The PESSAT Eligibility Criteria for each course is program is different along with the mode of admission. Admission Mode: KCET of Karnataka Examination Authority or PESSAT of PES University. Admission Mode: Applicants will be given admission on basis of performance in NATA. Admissions are open for candidates who have passed the Bachelor Degree Examinations from recognized University with a minimum of 50% marks in aggregate of all the degree examination. Filling up the PESSAT Online Application 2019 is the first step that all willing candidates mandatorily have to follow. The technical field aspirants willing to take B.Tech course are informed that the dates for this course vary than other courses. Thus, the reliable dates will be provided to all here through which one can easily check out the PES University Application Form Last date. Go to the website page and go on the option of registration. In the new registration menu, choose the course you want to apply for, name, DOB and a valid email ID. Once done, proceed to the online application form. Fill in all the details as asked in each individual field. Once done, recheck to correct any mistake in PES Registration Form. Click on submit option and proceed to payment. Pay the fee using any convenient online payment method. Documents Required: While filling the online application form, one would require uploading a recent colored passport size photograph. Under the name of SAT, the entrance examination for each course is conducted. However, the exam pattern for each program is different. Thus, being engineering program aspirant, learning PESSAT Exam Pattern for B.Tech is more important to all. In order to make sure that one is able to get assured admission; syllabus is the only savior for all. Here we are providing all such students a medium to get PESSAT Study Material. Moreover, PESSAT Syllabus for B.tech for all will be on the basis, of course, covered up to 12th. NCERT will be important throughout preparation. To all students, The exam Authority will provide PESSAT Exam Syllabus 2019 to assure selection. Slot booking is one of the ways through which students can opt choicest test center. Being located in Bangalore, the options are more for the state aspirants. However, though, the available options across states are different but most convenient location. The PES Slot Booking Date 2019 will be notified to the users here through subscription so that it will be easy to complete the task even in the nick of time. After Booking the Slot Admit Card will Be Released on the web, and Candidate can download the PESSAT Admit Card from there. The results are expectedly announced in the month of July. However, this is only for the B.Tech students. For other courses, their results will be declared after one week of the exam. The announcements will be done online only, thus keeping eye on the updates is necessary. Well, we will notify all our readers about their PESSAT Result 2019 and through provided link downloading will be facilitated. Participants will be shortlisted on the basis of performance in test score and personal interview. Post to the announcement of the result, those who were able to secure positions in merit list has to attend the counselling sessions. The counselling is done for those who are keen to take admission. In this process original document has to be submitted by all qualifiers. It is mandatory to attend any round of the counselling as per given instructions. The PESSAT Counselling Dates will be updated by us whenever it will be officially Announced.